I think what Damon sees is that Satan and God are the same. 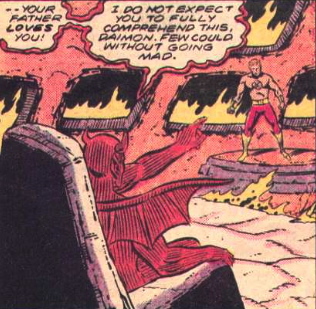 Then, in #111, Satan has a similar discussion with Hellcat. 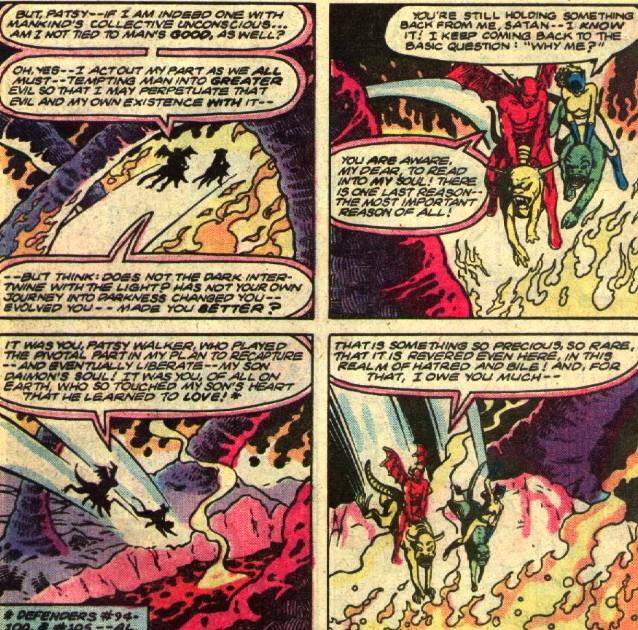 Patsy Walker has been tested repeatedly by Satan (although her real link to Hell is never entirely clear). 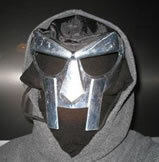 First, the Devil tries to organize the various versions of Satan that have appeared in Marvel comics. Apparently, he is the creator of all of them. But, he says, the most dangerous devil lives inside each person–and can only be defeated through personal growth and confidence. Once that Devil is beaten, Satan can’t hurt the person (or so it seems)….But in the end, Satan confirms what was only hinted at in issue #105: That he is tied to man’s good as well. Yes, he is both good and bad, and he is capable of gratitude. This is an extremely overt religious message, and one you’d never see in the clean Marvel corporate culture of today. I don’t think people really appreciate the depth of this storyline–lots of folks dismiss JM DeMatteis’ writing as superficial fun, but he had some heft to him at time. Also in #105 is a story featuring Reed Richards helping Beast revive his ailing girlfriend.